Most Australians are not consuming enough long-chain omega-3 polyunsaturated fatty acids for optimal health, according to a study of more than 12,000 people. Only 20% of the population meets the recommended daily intake for health-promoting long-chain omega-3s (n-3 LCPUFA). 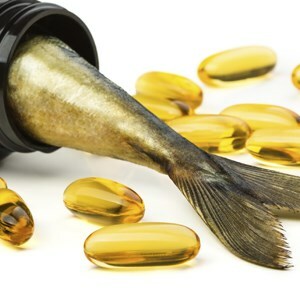 Omega-3 long-chain polyunsaturated fatty acids include EPA and DHA and are known for lowering inflammation - which makes them protective against diseases such as heart disease, cancer, asthma and ADHD - and reducing LDL (bad) cholesterol, which reduces the risk of stroke and heart attacks. They also play a role in fetal development, especially of the unborn baby's brain. However, while fish and seafood is by far the richest source of long-chain omega-3s, including DHA, most Australians get the bulk of their intake from meat, says study author Associate Professor Barbara Meyers from the University of Wollongong. “This large contribution [of n-3 LCPUFA intakes] is not because meat is a rich source of n-3 LCPUFA but because Australians consume at least 6 times more meat than fish/seafood,” she writes in the journal Nutrients. The suggested dietary target for n-3 LCPUFA is 430 mg/day for female adults and 610 mg/day for male adults. However, the current adult Australian n-3 LCPUFA median (middle value) intake is 126 mg/day (from food) and 154 mg/day (from food and supplements). Some people are consuming high amounts, but the vast majority of the population is consuming much lower amounts. These findings may have far reaching health implications, especially for cardiovascular health and fetal development, says Associate Professor Meyers. Dr Meyer notes that the vast majority of adult Australians who take n-3 LCPUFA supplements manage to meet the recommended intake. Meyer BJ. Australians are not Meeting the Recommended Intakes for Omega-3 Long Chain Polyunsaturated Fatty Acids: Results of an Analysis from the 2011â€“2012 National Nutrition and Physical Activity Survey. Nutrients 2016, 8, 111.